Anarchy in the Pure Land investigates the cult of Maitreya, the future Buddha, promoted by the Chinese Buddhist reform movement spearheaded by Taixu. The cult presents an apparent anomaly: It shows precisely the kind of concern for ritual, supernatural beings, and the afterlife that the reformers supposedly rejected in the name of "modernity." This book shows that, rather than a concession to tradition, the reimagining of ideas and practices associated with Maitreya was an important site for formulating a Buddhist vision of modernity. 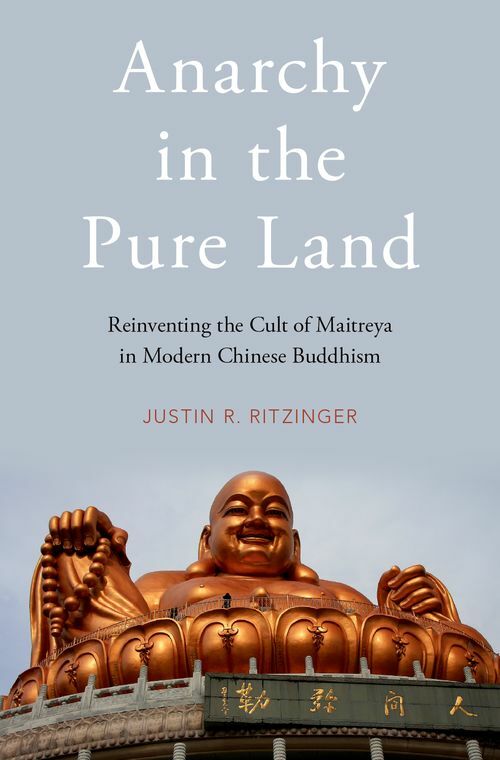 Justin Ritzinger argues that the cult of Maitreya represents an attempt to articulate a new constellation of values, integrating novel understandings of the good-clustered around modern visions of utopia-with the central Buddhist goal of Buddhahood. Part One traces the roots of this constellation to Taixu's youthful career as an anarchist. Part Two examines its articulation in the Maitreya School's theology and its social development from its inception to World War II. Part Three looks at its subsequent decline and contemporary legacy within and beyond orthodox Buddhism. Introduction: How Do You Solve a Problem Like Maitreya? Justin R. Ritzinger is an assistant professor of Religious Studies at the University of Miami. He received his PhD in the Study of Religion from Harvard in 2010. His work examines the reimagining of Chinese Buddhism in the modern period, particularly in response to novel ideas and values from abroad.